Here's how it looks, all seized up. Close examination showed it to be probably an 'Apprentice Piece', worked on by a few oiks - like me at that age! 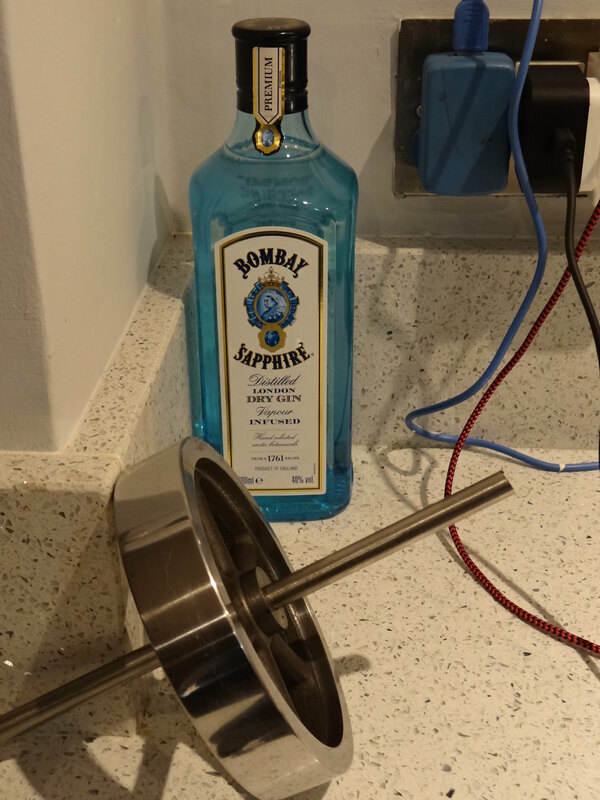 Like a Curate's Egg, parts of it are excellent: the cylinder bore is a delight - other parts though, leave a lot to be desired! 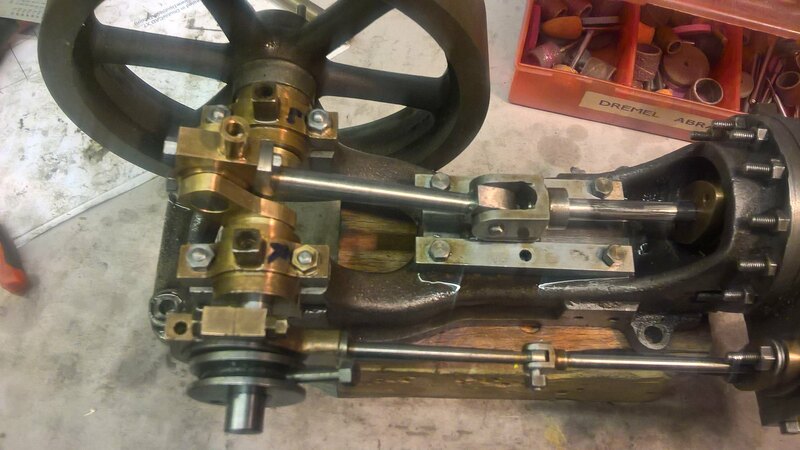 The crankshaft is bent, and the main bearings have never been line reamed so it is as tight as a drum. I've reamed the bearings, but a new crank is required. 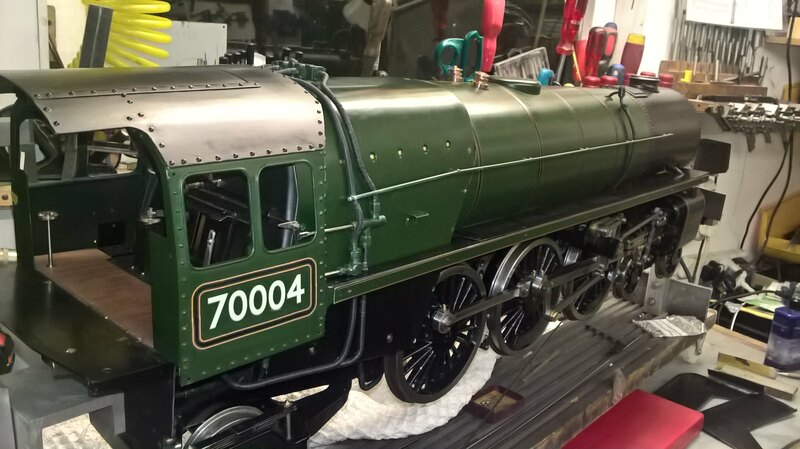 BTW here's the Brit needing just a few touches to finish it, but I've just been distracted by this engine! Going to be a very nice Stuart engine, already is a beautiful loco! Always loved the 9....I'll be watching along! Don't be afraid to show some of that locomotive either!......Nice! That has a pretty good knock in it! Persevere! Wow! Love your Britannia! As others have said, please feel free to post some pics of your locomotive. You've done a nice job on it! I'll be watching your Stewart restoration too. Rebuilt one two or three years ago, I think the one I did started off worse than yours, but it came up good. Then the owner took the engine to a steam weekend show, and it got nicked, which caused us to be a bit miffed. Not only does the example in the video knock, the crankshaft wobbles too. I'll be fixing basics first, and making it look pretty later. 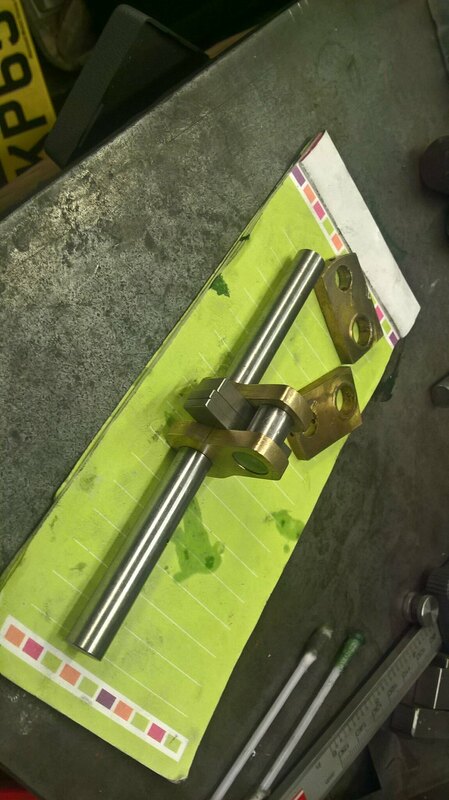 The first fault to address was the crankshaft. 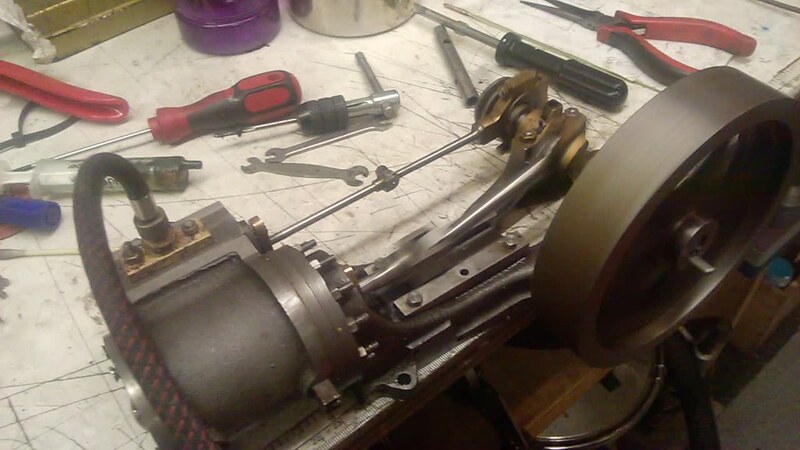 When the crank was turned, the small end of the connecting rod flailed about like a Cheerleader's bits pompoms! 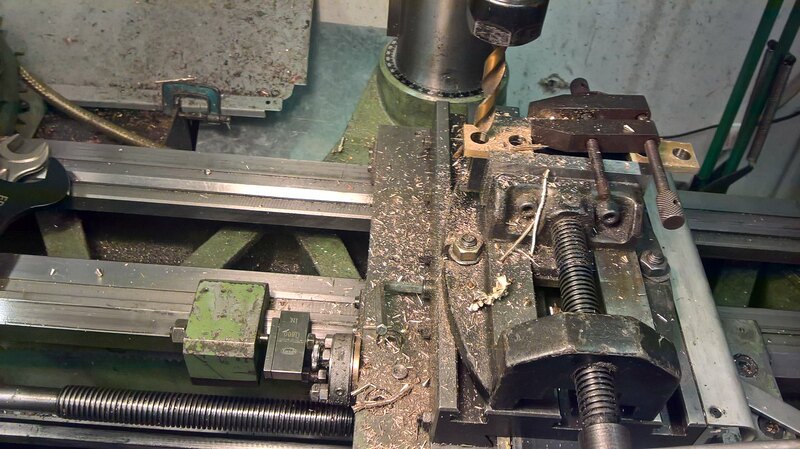 There had been a pressing error therefore the crank pin was not perpendicular to the webs: one of the bores was 0.004" out of position. The absence of side thrust washers didn't help the situation either! Today's job was a new crankshaft and thrust washers. 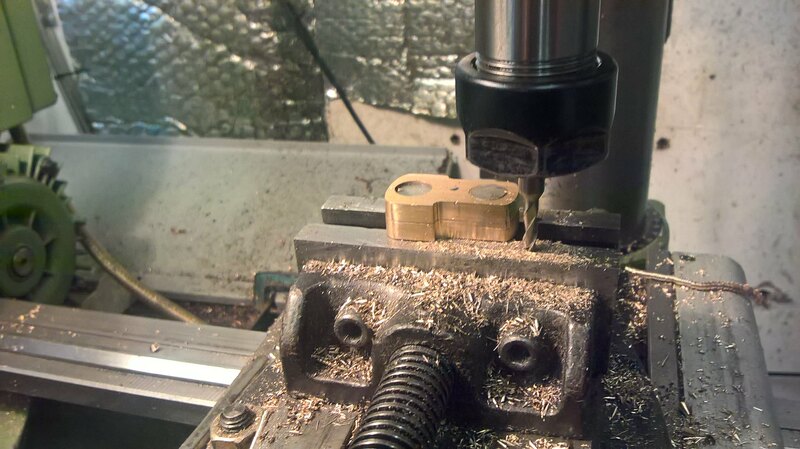 Machining the ends of the webs, utilising a simple stop on the vice jaws. Drilling and reaming the two 3/8" holes. 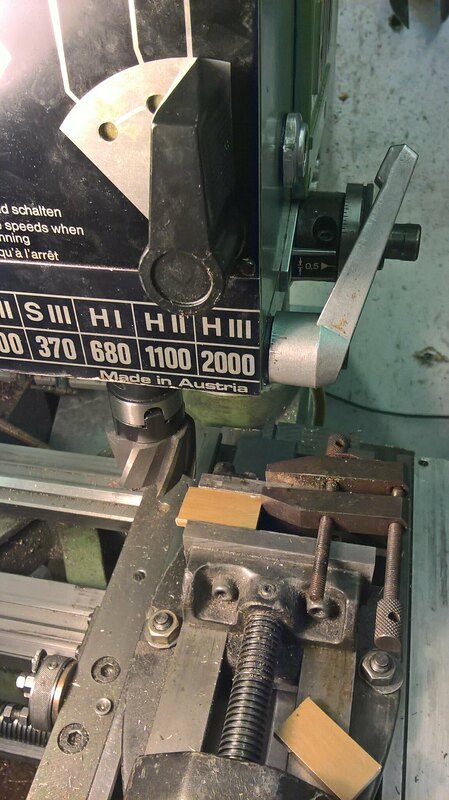 There's a balancing piece on the end of the jaws, and I'm using slip gauges on the bed stop to achieve the 0.75" pitch. 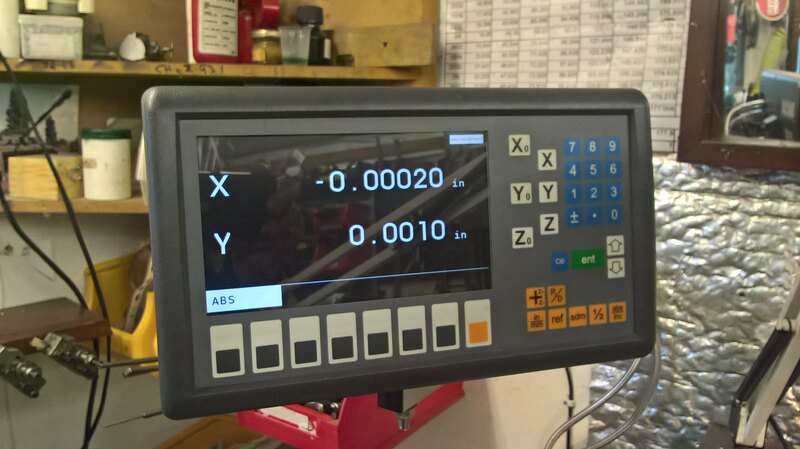 I can usually repeat holes to 0.0004" or less using this method. Certainly much prettier than the originals! Crankshaft with new thrust washers. No more flailing about and it turns sweet as a nut! Slide valve is stiff, so that is the next job. 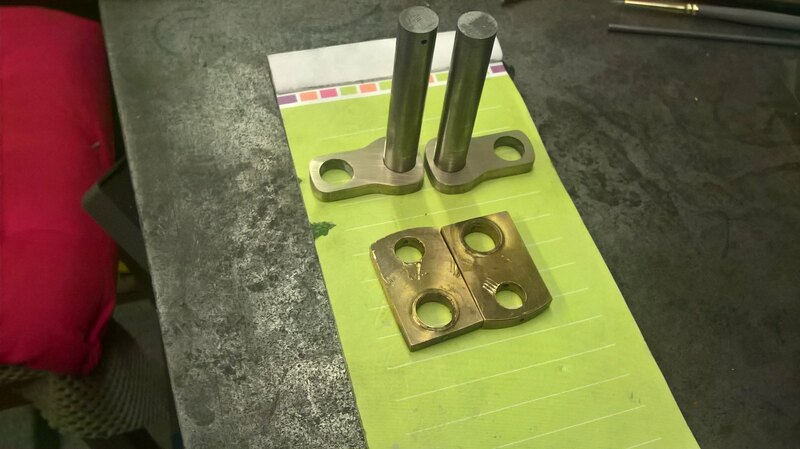 Looking good John, it's amazing how a bit of simple machining can improve the look significantly. I wondered if maybe the engine had been built by 2 separate people? From what I can see the cylinder end of the engine looks to be of a better standard than the crankshaft end. The cylinder covers have more studs than the plan calls for so it kinda makes me think the builder wanted to make a good job of it and create an authentic look. I could wrong but the amateurish crank webs and oil cups etc give me the impression they were built by someone less experienced. 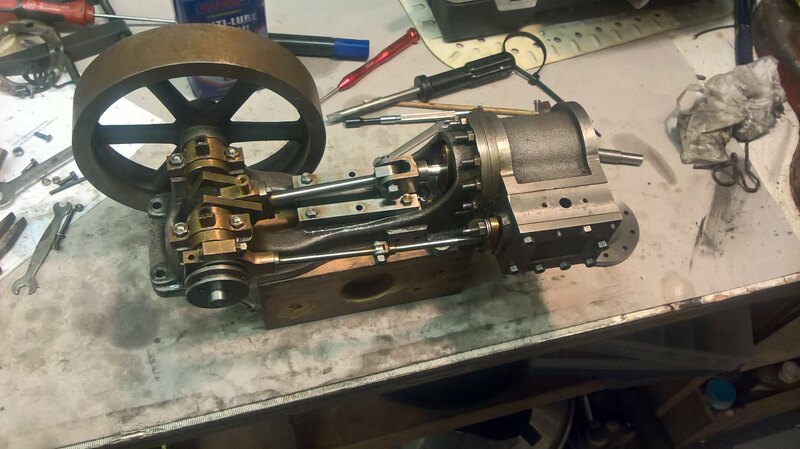 Well, it leaks like a sieve - it's held together with CSK 5BA screws as I have to get some decent studding- and the flywheel wobbles, but it works and it doesn't knock! Just click on the pic to get you into flickr, and watch 33 seconds of satisfying model engineering! Please forgive my shaky handwriting and the noisy compressor. Very nice! The new parts did the trick. Amazing what a bit of emery cloth and oil can do to a very old and scabby cast iron flywheel! Bad Behavior has blocked 14628 access attempts in the last 7 days.